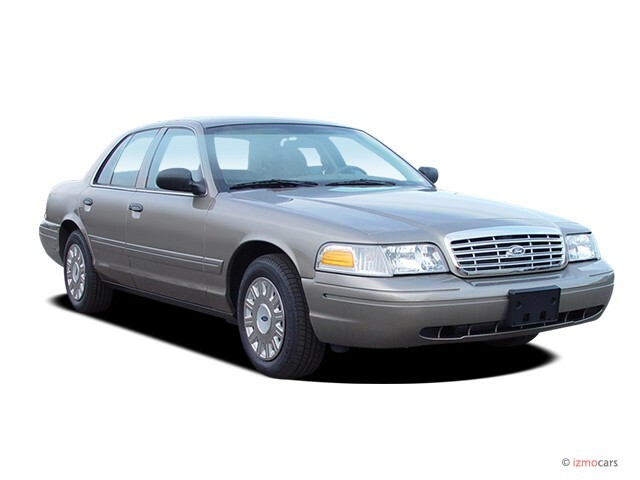 The last of its kind, Ford’s Crown Victoria is the slab-sided six-passenger embodiment of what American cars used to be — big, V-8-powered, and rear-wheel-drive. Today, a handful of other cars have those features but in a rich man’s package like the Mercedes E- and S-Class sedans, or the BMW 7-Series — cars that are out of reach for most folks. Even the much-heralded Chrysler 300 is basically a rich man’s car, once you order the “C” package and the mighty HEMI V-8, at any rate. The V-8 equipped 300C lists for $32,870, which is roughly $8000 more than the standard-issue $24,190 Crown Vic — which already comes with a 4.6-liter V-8 engine, unlike the standard (non-C) versions of the Chrysler 300. The base model of Chrysler’s large sedan comes instead with a surprisingly small 200-hp, 2.7-liter V-6 that struggles to move the two-ton mass it’s chained to. And with a starting MSRP of $23,295, the V-6 equipped Chrysler 300 is only slightly less expensive than the already V-8-equipped Vic — which is bigger, too, with a larger trunk and more back seat space. 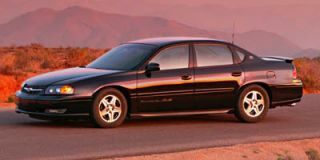 So the Ford remains a breed apart — the only affordable six-passenger, rear-drive, V-8-powered sedan you can pick up for less than $25,000. Even “with everything,” the big cruiser barely lists for more than $30,000 ($30,275 to be precise) and in terms of real-world cost, it’s no great challenge to drive away in a loaded-up Vic with leather and auto climate control for about $30k given incentives and haggling. Arguably, the Vic is the nicer-looking car. 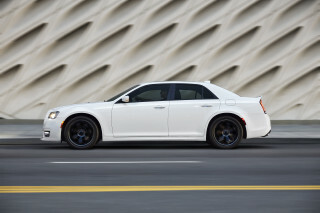 The Chrysler 300 is unquestionably dramatic — but it’s also love it or leave it. Some think its gangster/gangsta car lines are bold and brash; to others, it’s just plain ugly. Either way, it’s controversial. And that is a risk as regards resale values and depreciation rates, if you care about that sort of thing. And sometimes, its styling works in the Vic’s favor. In navy blue or black with the optional performance package that includes a lot of police interceptor-type equipment — including a 3.27 axle ratio, dual exhausts (that bump the V-8’s rated output to 239 hp from the standard 224) and wider wheels and tires — your neighbors and fellow travelers will give you a wide berth because many will assume you are The Law. This is actually a nice bennie of Crown Vic ownership. It’s not fast, but it’s fast enough. That means 0-60 mph happens in about 8.4 to 8.7 seconds, depending on whether you’ve got the 3.27 axle, which helps move the car off the line a little bit faster. If you wanted cheap fun, for about $1500 or so you could buy a Vortech or Paxton supercharger kit, as the 4.6 engine is more or less identical to the Mustang GT’s V-8, and thus there are performance enhancers aplenty available on the parts shelves. With the blower installed, you’d have at least 310-320 hp to play with and could probably smoke a HEMI-powered Chrysler 300 — and still have the bigger car and about $4000 in your pocket for gas money. The Vic also handles well, in that big car way of gentle power slides when pushed really hard (as a cop might in hot pursuit). 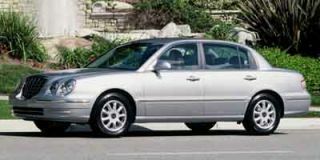 The steering is American-style and heavily boosted, so you won’t feel “one with the road” as you might in a European sport sedan, but the Vic tracks straight and true, doesn’t feel floaty, brakes predictably (even if the pedal’s also American-style and a bit over-boosted) and does a fine job of conveying its occupants over the road with minimal jostling. Also, the car is exceptionally safe — a regular Five Star winner in most every government crash test there is. Again, it’s a way for the average family to enjoy the sort of sheetmetal safety cocoon that rich folks get in their S-Class M-Bs. The Vic is massively safer to be in than the typical mid-size family car in the $25k price range and will take a hit — and drive away from it — that would total many of those smaller, less sturdy rides. It is also as plush and comfy as a top-line Lazy Boy, with enough room front and back for NBA forwards to stretch out without rubbing knees or elbows, plus a 20.6 cubic foot trunk that will take Sopranos-style “loads” with ease. The wide bench seats allow three-across seating and are sofas compared to the scrunch-you-in sport buckets so common today. With the leather seating option, you’ll slide around as if there’s a Twister game under your pants — not always desirable. If you feel like stopping for a roadside nap, you’ll sleep sound. The cabin is quiet as a stone. And when you hit a six-inch-deep pothole, the virtue of full-frame construction (and a body isolated from that frame by multiple rubber body cushions) becomes immediately apparent. There is a reason why police departments and livery services (taxis, limos, etc.) overwhelmingly choose the Vic. It’s a car that keeps your tail end from becoming numb and your back from knotting up in agony even after an 8-12 hour shift. And it can take the punishment of 100,000 miles of near-constant driving in a single year, including the rough and tumble of New York City streets, without spitting its parts all over the road. 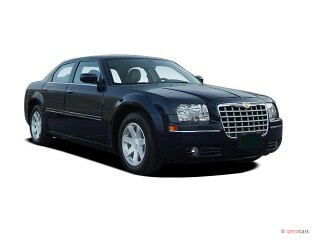 Granted, it isn't flashy and lacks “bling.” In no way is it as current in style as competitors like the Chrysler 300. Its bigness can also be intimidating in close quarters and it will definitely fill up your garage. 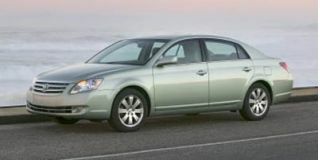 But if you simply want the largest, safest, most comfortable sedan your $25-$30k can buy, there’s really no contest. 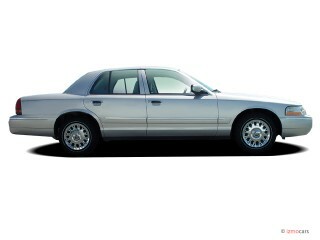 Looking for a different year of the Ford Crown Victoria?